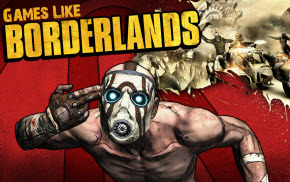 Games Like Borderlands: FPS RPGs '+g+"
Borderlands is an action role-playing first-person shooter video game, that was developed by Gearbox Software. Borderlands is set on the planet of Pandora. Lured by its apparent vast deposits of minerals, several colonization ships sponsored by the Dahl Corporation journey to the planet and build settlements there. If you are a fan of first-person shooter action RPG games like Borderlands and looking for more games with similar gameplay then find the recommendations for it below and don't forget to mention if we miss any games as we keep on updating this list. Rage is a first-person shooter video game developed by id Software. The game is set in a post-apocalyptic near future, following the impact of the Asteroid 99942 Apophis on Earth. The game primarily consists of first-person shooter and driving segments, with the player using his vehicle to explore the world and travel between missions. Hellgate: London, is a dark fantasy themed action role-playing game developed by Flagship Studios. The game is set in demon-infested postapocalyptic London and can be played in either third person perspective or first person perspective. Metro 2033,......if you can think of more, then don't forget to mention it in comments.